The problem with certificate can occur in different browsers. Nowadays, many Google Chrome, Internet Explorer and Mozilla users often facing with such problems. That’s why we decided to find the solution for sec_error_revoked_certificate error in Mozilla Firefox. 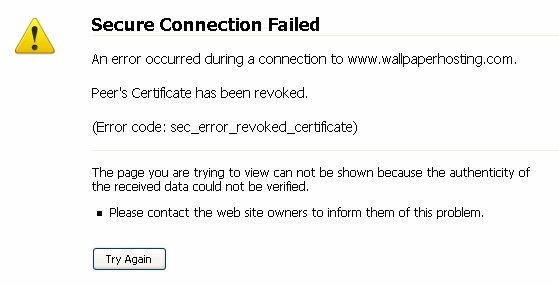 sec_error_revoked_certificate error – how is it look like? Most likely, the browser user will try to use some standard methods to fix the problem: clear the cache and cookies, scan PC using CCleaner, re-install the browser etc. But in case of sec_error_revoked_certificate error, you need to fix it in a specific way. This error occurs when the website’s Security key is incorrect. 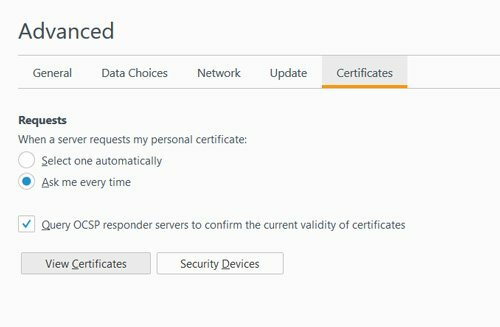 We want to mention – there is no any danger or some cheating problems – all the problem is because of certificate authority. We don’t want to get into the law, economic and political details, but it is known that WoSign purchased StartCom certificate authority, and didn’t disclose the deal. According to security policy, in this case Firefox do not trust this certificate authority and that’s why the browser blocks the websites which uses the WoSign certificate. All these things happened when 51.0.1 browser update was released. Since the 51 builds some of the websites are not opening in Mozilla. How to fix sec_error_revoked_certificate error? Re-install Mozilla or downgrade it to older version. 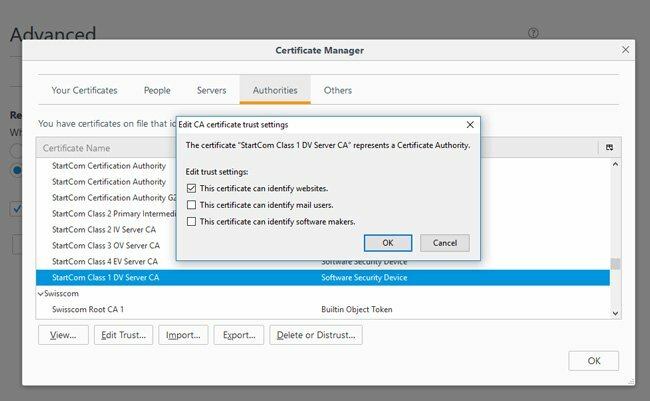 Go to Options –> Advanced –> Certificates –> View Certificates. Find StartCom Class 1 DV Server CA in the list, click on the field to choose it and press Edit trust… . In a newly appeared window check on This certificate can identify websites, click ОК and save the changes. Now you can open the needed websites without issues. That’s all! Now you know how to fix sec_error_revoked_certificate error in Mozilla Firefox. But keep in mind, that it’s not secure to allow certificates of unknown websites, that can do a harm to your machine. So use it wisely!